In health and wellness circles today, Nitric Oxide is a rising superstar. The discovery of Nitric Oxide’s function in the human body is one of the most important discoveries in recent medical and scientific history. 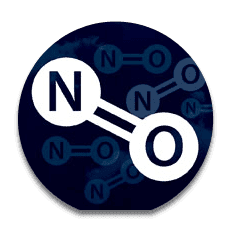 The importance of Nitric Oxide was underscored when three Pharmacologists were awarded the Nobel Prize in Physiology or Medicine in 1998 for their research on Nitric Oxide. Researchers have now studied Nitric Oxide extensively and the molecule is considered to be the most important signaling molecule found in the body. Kyäni NitroFX puts the power of Nitric Oxide in your hands. Until recently, nitric oxide has been relatively unknown outside the medical research community. Nitric oxide is a highly reactive gas which is naturally produced in the human body and nitric oxide has been determined to be the most important signaling molecule in the human body. Nitric oxide affects a wide range of physiological functions including circulation, inflammation, learning and memory, digestion, penile erection, and oxygen release in tissues from red blood cells. From a scientific perspective, nitric oxide can be produced in the body through the process of converting the amino acid L-arginine into citrulline. Increasing research suggests that L-arginine (which is used in most competing brands of nitric oxide supplements) has potentially negative side effects. It has been determined that nitric oxide is produced more efficiently from the nitrates and nitrites found in plants like Morinda Citrofolia (noni) and these are the only Kyani Nitro FX ingredients. 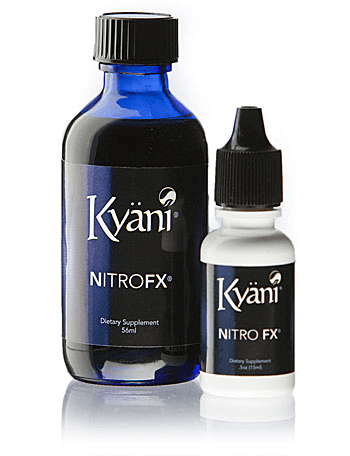 Why Is Kyani Nitro FX Natural Noni Supplement So Helpful to People of All Ages? Unfortunately, the majority of people in the world are deficient in the natural production of nitric oxide. Our fast-paced lifestyle and underlying factors such as insufficient exercise, poor nutrition, mineral-depleted soils, and air pollution make the need for optimized levels of nitric oxide extremely important. In the year 2000, Dr. Thomas Burke and his researchers at Integrated Systems Physiology, an independent lab in Denver, Colorado, conducted in vitro experiments on noni juice that helped to explain the tremendous benefits people were seeing from simply drinking non-concentrated noni juice. In this series of experiments, the researchers tested diluted noni juice on endothelial cells, the cells that line the inner surface of blood vessels proving that noni fruit juice created nitric oxide. 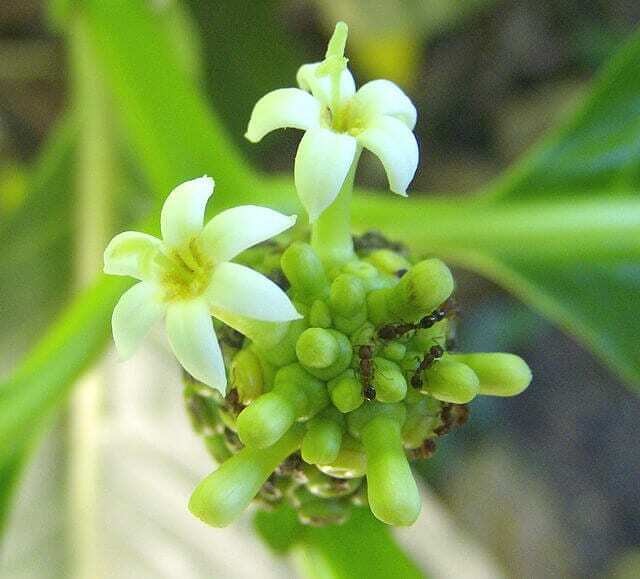 In doing so, their studies isolated the main mechanism through which noni works in the body to naturally and safely increase nitric oxide levels. As a result, Kyäni Nitro FX™ and Kyäni Nitro Xtreme™ were developed using a proprietary blend of noni concentrate. The Kyani Nitro FX side effects improve circulatory health by dilating the arteries so more blood, oxygen, and nutrients can travel from the heart to the rest of the body. In addition, it helps minimize clotting by discouraging blood platelets from sticking to one another or to the vessel wall. The effects of Nitric Oxide serve to improve overall circulation in the body. Nitro FX is a proprietary formula derived from select parts of the Noni plant. Studies show that Nitro FX is highly effective in promoting Nitric Oxide creation in the body. A few drops every day increases your Nitric Oxide levels which increases blood flow, improves energy, and defends, repairs, and maintains nearly every cell in the body. 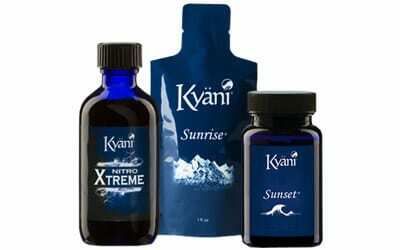 Enhance Your Peak Performance and Try Kyani Nitro FX Today. 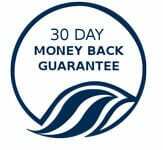 This Is The Only Noni Nitric Oxide Supplement That Delivers!